While The Lotter is considered a contender for leading the online lottery agents toplist, we’ll see how it’s sub brand is holding it’s own. Is it a matter of pure branding, or an experienced tailored to a specific crowed. The site was revived just in 2017 and is gaining momentum in early 2018. It is supporting an impressing number of payment options – over 30 options for completing a deposit and 7 options for withdrawing winnings – and commission free transfers. Services are given in up to 13 languages 24/7 – Live Chat, toll-free Phone, and Contact form – that cover many of the wide spoken worldwide. 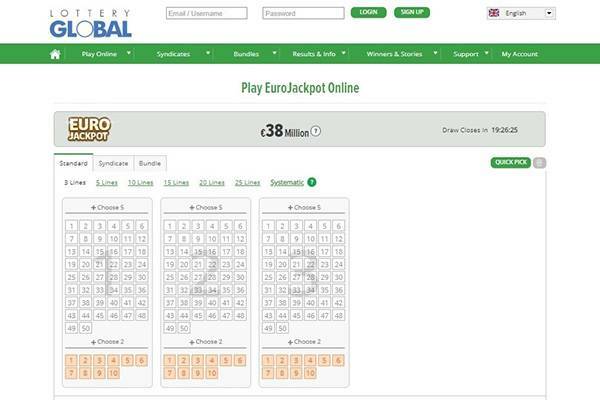 47 lotteries are available, and to many Lottery Global offer the option of Syndicates and bundles. These are some of our favorite products that often deliver an exceptional player experience with an attractive value for money and higher odds for a win. Reviewing an online lottery site is a complicated challenge as it’s an analysis including many review aspects that while not be of interest to all, should be clearly communicated as are definitely relevant to all. User’s experience is a part of the overall ranking, but can’t replace security, trustworthiness, lottery variety, game options, platform support and other. This is also something that is being revisited every so often to make sure still relevant and not missing – sites gets revamped, new lotteries are added, and new games developed. What promotions and bonuses does Lottery Global offer its potential player to incentives them to join? Purchase bonuses, bring-a-friend, loyalty program, and VIP points. How can a player get hold of The Lotter in case of something going wrong? What are The Lotter’s response time and availability? HOW SECURE IS LOTTERY GLOBAL? No matter the service or product, you want to be sure your identity and details are in good hands and out of reach for anyone not authorized by you. This is why out of all review aspects, this is one of the more critical. Unsecured site is one you shouldn’t trust, regardless of score in other aspects. Its as plain as that. The site has a valid till 2020 SSL certificate from COMODO – a known issuer, but The Lotter has a better one . There’s a clear indication of this encryption with a green lock icon in the browser and a URL that starts with HTTPS. More and more sites, even those who don’t actually collect data from its users make use of this type of encryption. Using some of the popular tools – Google Safe Browsing, Virustotal, Norton Safe Web, and others – indicate there’s no unsafe content found. This is only indicating there’s no open issues with the site, it didn’t raise in any query for scams or fraudulent online activities. The first checks are more technical, in the reputation section we dig deeper and look for player reviews on unsolicited sites. This will signal if there are ongoing mistreatment of players, and how well complaints are being addressed. 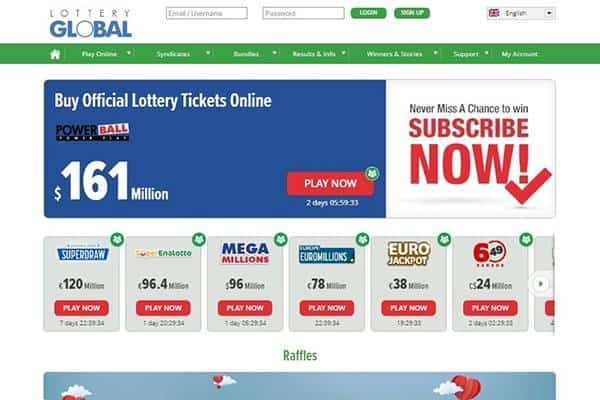 The way Lottery Global address an issue could be more important than having no complaints are all, as it’s virtually impossible to have everyone content all the time. 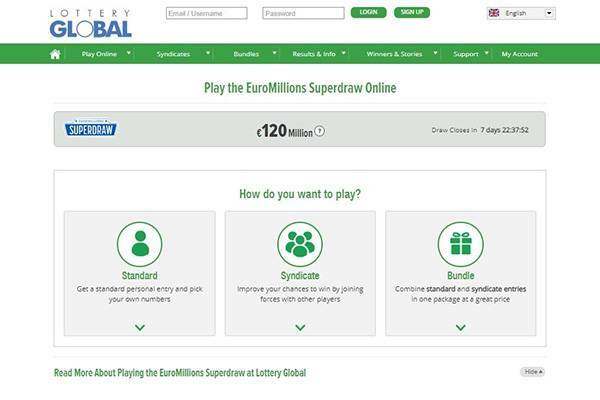 We found there are no major issues and communication with Lottery Global is clear and responsive. 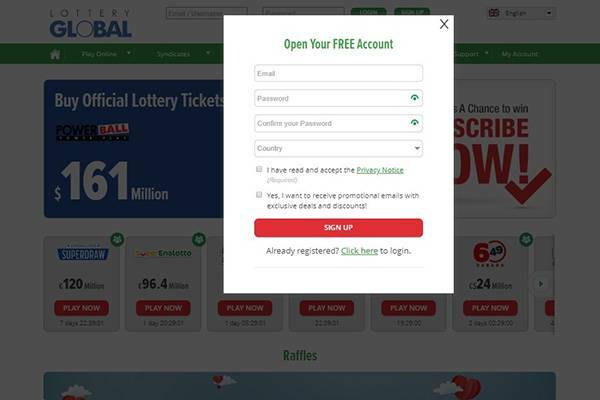 There’s no reason not to trust Lottery Global as they take the necessary means to protect their players, have a clear record of not using any fraudulent web practices, and there are no patterned complaints from players that are unanswered. WHAT PLATFORMS DOES LOTTERY GLOBAL SUPPORT? Now that security is cleared, we can move on to a more interesting and fun aspect… Games and features. These two are related to the user’s experience, and how well does Lottery Global answer the needs and wants of lottery players who come to try their luck at 47 (!) lotto games from around the world. This is the single line that is available at every lottery kiosk and agent. Nothing special, only the online service. An option that greatly increases the player’s odds for hitting a jackpot, but the expense of sharing the win amount. In this product, many players group to but shares that give the right at a prize won from a pool of lottery tickets. A preset mixture between standard line and syndicate. With one transaction, you can buy shares and personal entry to get a chance at the big prize. Usually comes at a discounted price as does include multiple products grouped. Automatically fill all the open lines that either empty or have some numbers missing. It is a very comfortable option for those who needs an easy way to complete a purchase. This is a complicated feature that is made very simple. 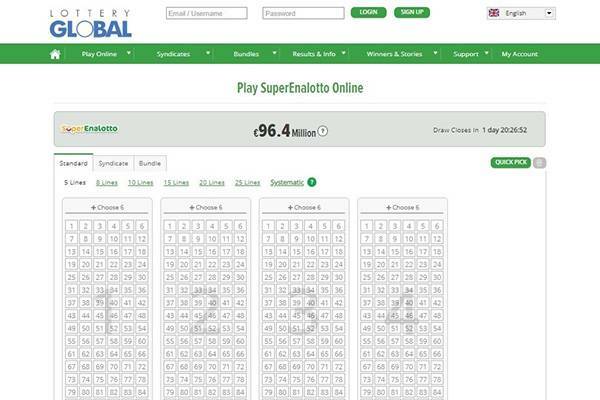 Lottery Global gives its lotto players an option of picking more numbers than the lottery’s set by calculating the number of tickets and their picks to cover all the options. Very cool feature. Want to play your lucky numbers in future draws, not a problem with Multi-Draw. It’s the option of pre-purchasing the same lines over and over at a very attractive discount that could reach 25%. Its a Multi-Draw with no expiration. Lottery Global ticks all the right products and features. It answers the gaming needs of almost any lottery player. Combined with a varied collection of 47 of the worlds best lotteries, there are few others who offer an all comprehensive lottery package. WHICH LOTTERY GAMES AND FEATURES LOTTERY GLOBAL HAS TO OFFER ITS PLAYERS? From mobile, to desktop, to tablet… we engage with so many screen throughout the day. It is a challenge for online lottery sites to not only fir multiple screen sizes, but preferably Taylor the experience base on intent. It means understanding the players in a deep way so to answer their specific need without any background noises and hassle. This is a huge undertaking. The experience using the site is an extremely pleasant one, even if a little outdated. Design is clean and uncluttered, colors are vibrant in a good way. Navigation is simple and intuitive, there’s a good sense of what to do next. The complete ticket purchase funnel is accompanied with little handwritten notes and tooltips to clear any functionality. Excellent support for tablet view. The experience is simmered to match the usage over tablet, something not often seen. Once again, mobile got a distinct experience. While not as polished and well thought of as with other platforms, is it still very clean and clear. We were fairly disappointed of the lack in any mobile applications. There are few online lottery sites by big ticket agents who offer apps, and it’s always annoying to find another that doesn’t.